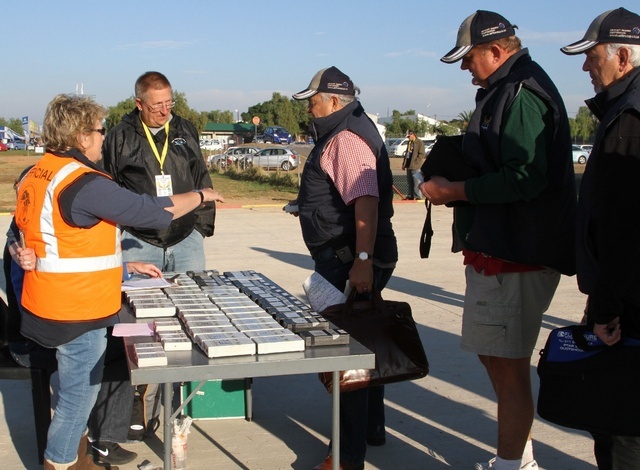 This year the PTAR was hosted by Oudtshoorn Flying Club. Oudtshoorn is a town in the Western Cape province and is the largest town in the Little Karoo region. The town is home to the world's largest ostric population, with a number of specialized ostrich breeding farms and is surrounded by the beautiful majestic Swartberg Mountains. 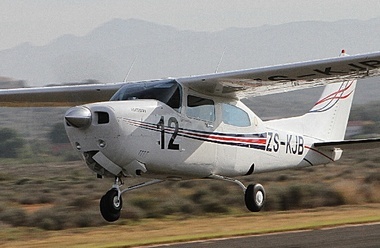 I flew down from Pietermaritzburg with Barry de Groot three times winner of the PTAR in his Cessna 172 and we arrived on Thursday afternoon with registration in full swing. Sharon Malcolm was at the helm handing out the competitor's gift packs and assisting with the registration. I was immediately impressed by the organisation of the event. The Race briefing was held at 16h30 by the Race Director Robbie Myburgh. Thereafter the navigators collected their maps and most then left the airfield to go and do their plotting for Day 1 race. 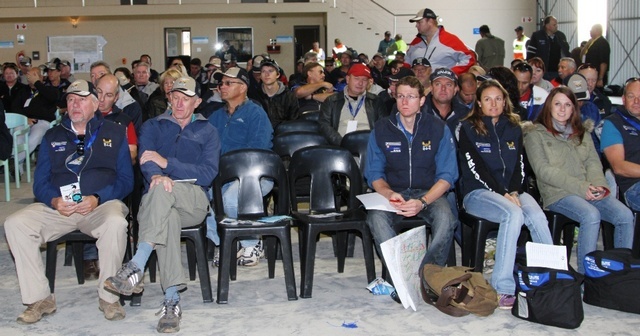 On Race Day 1 the briefing was held at 08h30. The start of the race was at 10h30. I positioned myself towards the middle of runway 22 to photograph each of the aircraft as they took off for the route of 284.174 nautical miles. Leg one took the competitors from Oudtshoorn with a right turn to School 1 on a distance of 52.738nm. 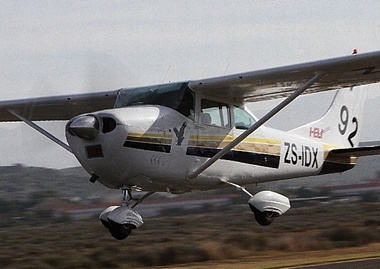 Leg 2 routed them right from School 1 across the Klein Swartberg enroute to Laingsburg on a distance of 28.213nm. 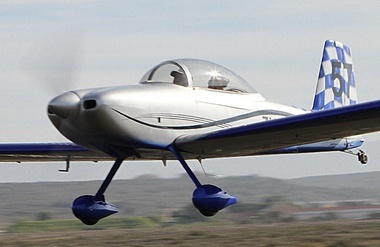 Leg 3 routed them from Laingsburg with an awesome run through the Karoo to Prince Albert airstrip on a distance of 59.079nm. Leg 4 routed them from Prince Albert airstrip to Willomore airstrip on a distance of 74.098nm. Leg 5 routed them from Willomore airstrip with a right turn to School 2 on a distance of 14.063nm. Leg 6 routed them from School 2 heading for home down the valley and back to Oudtshoorn on a distance of 55.983nm. On Race Day 2 the briefing was again held at 08h30 and the race started at 10h30. The Navigators collected their loggers after the briefing and I could sense the excitement of the pilots and navigators as I walked up and down the runway while they waited for positioning of their aircraft. Robbie Myburgh took his position in front of the starting line and with much enthusiasm and a little dancing around, brought on by adrenaline, which reminded me a little of Robin Spencer-Scarr the previous race director, he set off the first plane, race 91 ZU-NRC a Sling 2 flown by Andrew Lane from the starting blocks. I positioned myself on the starting line on runway 22 to photograph each of the aircraft as they accelerated for take-off on the route of 288.161nautical miles. Leg one took the competitors from Oudtshoorn with a right turn to Ladismith on a distance of 47.786nm. Leg 2 routed them sharp left left to Phillips on a distance of 34.386. Leg 3 routed them up and around the Rooiberge from Phillips left down the Lang Kloof to Avontuur on a distance of 66.108nm. Leg 4 routed them from Avontuur to Joubertina airstrip on a distance of 33.664nm. Leg 5 routed them from Joubertina in a left turn across the Kougaberge back to Willomore airstrip on a distance of 38.048nm. Leg 6 routed them from Willomore left back home to Oudtshoon across the Groot Swartberge on a final distance of 68.169nm. 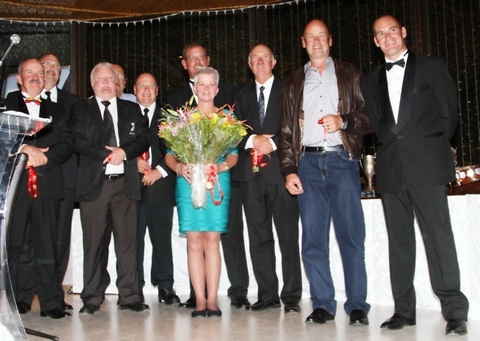 The formal function awards dinner was held at Surval Olive Estate. 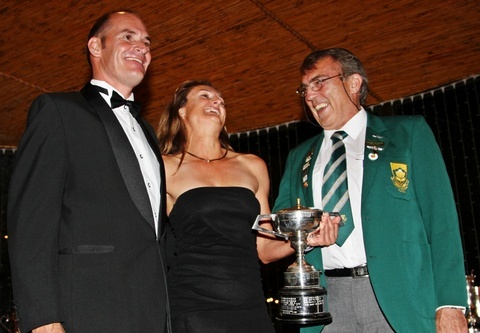 Robbie Myburgh took the stand and welcomed all the guests. After the lovely dinner it was straight on to the awards ceremony. My appreciation goes to the full organising committee who went out of their way to make this the best organised PTAR that I have attended in the last six years. Well done to all concerned. Special congratulations must go to Robbie Myburgh for pulling off his first Race as Race Director in style.